We continue our survey of Old Colpetty with this sequel on More Colpetty Places and their Stories to take our readers on another trip down memory lane. The Colpetty Municipal Supermarket was built in the mid-seventies on the site of an older, much more modest marketplace. Rumour has it that work on it began in earnest to impress our foreign visitors due to arrive for the great Non-Aligned Summit of 1976. 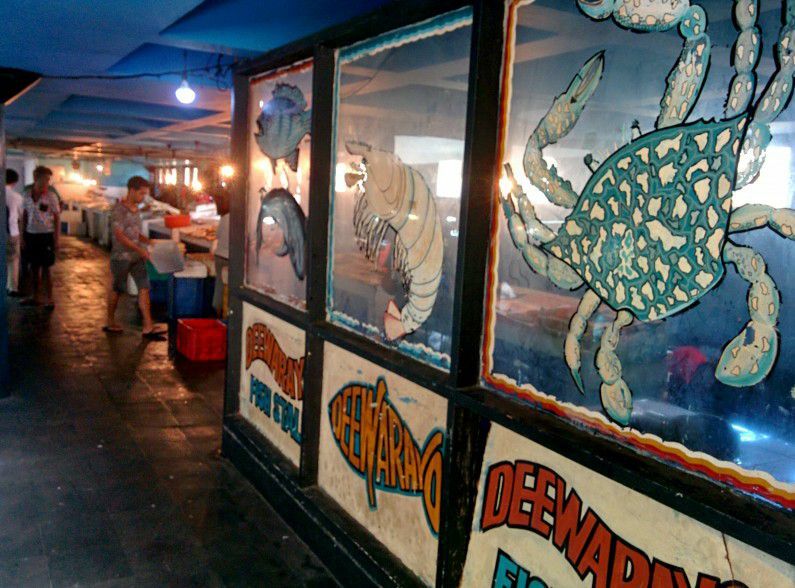 Prior to this, the market was quite run down and comprised four rows of open stalls placed in rectangular fashion with an open area in the centre—somewhat like the medamidula of old Sinhalese houses. There were meat and vegetable stalls and at least one chicken stall where they slaughtered the birds as soon as the order was placed. The supermarket that took its place was far grander, comprising a block of building with plenty of open space inside, inspired by Le Corbusier’s Villa Savoye. There were greengrocers and butcher shops on the ground floor, a fish mart on the second floor, and plenty of grocery shops lining the third floor, which was fronted by a promenade with ocean liner railings that gave a splendid view of the hubbub below. The place still retains its charm; the sights, sounds, and even the smells are the same as they were in the ’70s, as any good Colpettian will tell you. Although by today’s standards it looks quite mediocre, back then it was something novel. A couple of weeks after it was built, many a denizen of Colpetty found their way to the spot, standing outside so they could see Socialist legends like Marshal Tito and Muammar Gaddafi cruise past for the Non-Aligned Summit. Colonel Gaddafi, good looking as ever, could be seen waving his hand as he passed by. St. Margaret’s fair, organised by Bishop’s College, takes place once a year around July. This little-known fair is still held at St. Margaret’s Convent down St. Michael’s Road, not far from Bishop’s College. It is one of the few links that still connects this girls’ school to the Sisters of Saint Margaret of East Grinstead, England, in whose care it remained for many decades up to the 1950s. Back in the good old days, it was much livelier than it is today. 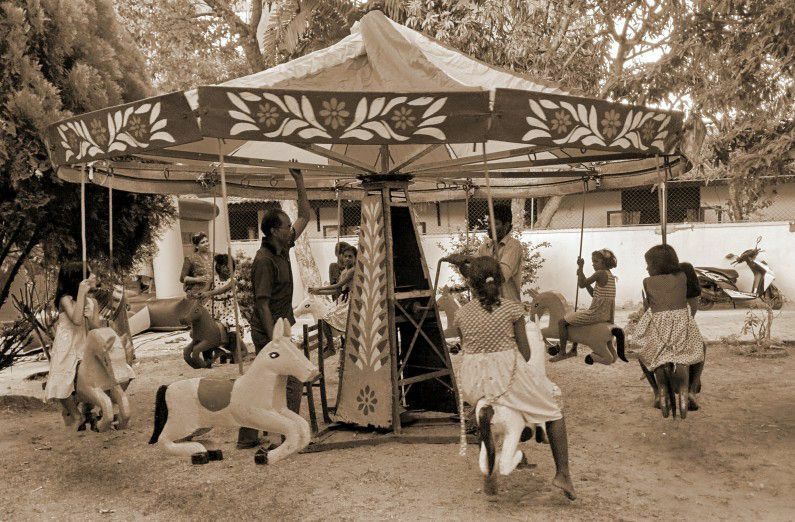 The hand-operated merry-go-round filled with playful kids is still there, but much has vanished, including the fairground game of Coconut Shy the girls used to play. They also had a great variety of items for sale back then, from books and foodstuffs like strawberry-shaped marzipan to little celluloid dolls dressed in fancy costumes. There are also those who still recall the hand-made cloth dolls ingeniously turned out by Margaret Dias, the Matron of the school, who used to collect the bright red seeds of the madatiya (coralwood tree) strewn all over the garden to use as boot button eyes for her dolls. 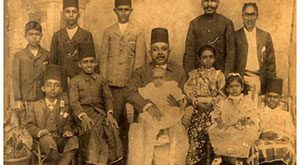 Facing the Colpetty Supermarket on Turret Road (present Dharmapala Mawatha) near Coopers Hill (now 3rd Lane) was Gabriel’s, a well-known barbershop housed in the ground floor of a large building said to have been owned by one time chief justice H. N. G. Fernando. This was a famous salon for gentlemen and counted among its clients our first premier D. S. Senanayake. It survived until about 1991, when the premises was sold to Bally’s Club (where the imposing white structure of LB Finance now stands). Across the road stood Royal Salon run by an enterprising couple, K. W. D. and Vimala Perera. 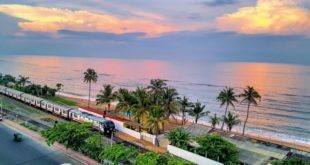 It is said to have existed even before the Pereras took over in the 1960s, catering to foreigners in the pre-independence era and later to newly independent Ceylon’s elite. It had two wings, the ladies’ and kids’ salon at No. 3, and the gents’ salon at No. 5, Turret Road. The salon ceased to exist in 1973 when the owners’ daughter, Swarnamalee, converted it into a bookshop by the name of Malee Book Centre. 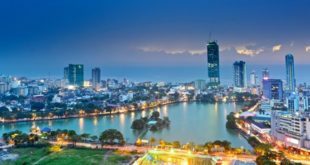 Colpetty back then was one of the most happening places of Colombo, where one could shop in relative peace away from the hustle and bustle of Pettah. There were bookshops, textile shops, and shops selling sundry stuff and cosmetics run by all communities that had made Sri Lanka their home. Among the general merchants, Nooranis stood tall. 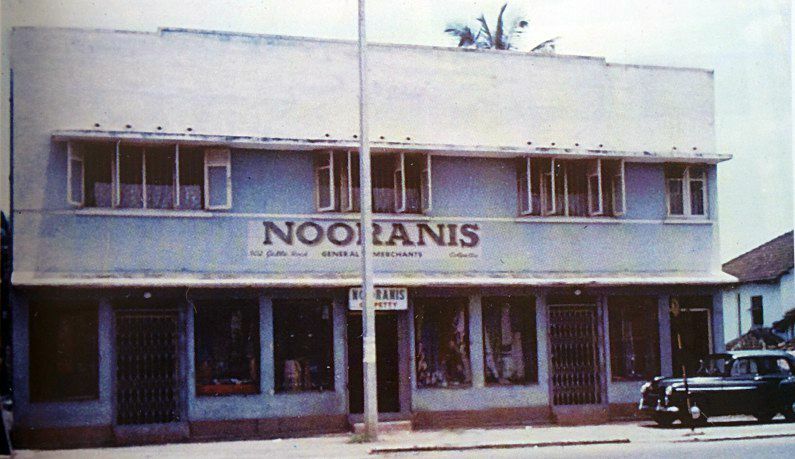 It was founded by the Somar brothers Yusuf, Sulaiman, and Habib who were Memons of Indian origin and who named it after a Sufi sheikh from the subcontinent, Moulana Noorani. Located in an old building owned by the family that had earlier housed Central Stores and some tenants upstairs at No. 502, Galle Road (where McDonalds is now), the shop dealt in haberdashery, fabrics, threads, and shoes. It had roaring business throughout much of the 1960s and 1970s before closing shop in 1979. Then there was Victoria Stores, another general merchant shop run by Chettis or Tamils of Catholic faith from the 1960s which was looted during the July 1983 riots. Located in a building on Turret Road opposite the Colpetty Market (where LB Finance now stands), it dealt in all kinds of groceries, including imported cheeses, cherry preserves, and even breakfast cereals like Weetabix. However, it was most famous for its wines. There are also a few who remember Peking Stores at Colpetty junction, just past the turn from Turret Road (where Shakti Pharmacy is now) which was owned by a Chinese lady named Noeline Yu. It was a gift shop that thrived way back in the 1960s. Its place was later taken by Venura House somewhere around the 1970s, which sold general merchandise, games, toys, and ice chocs. 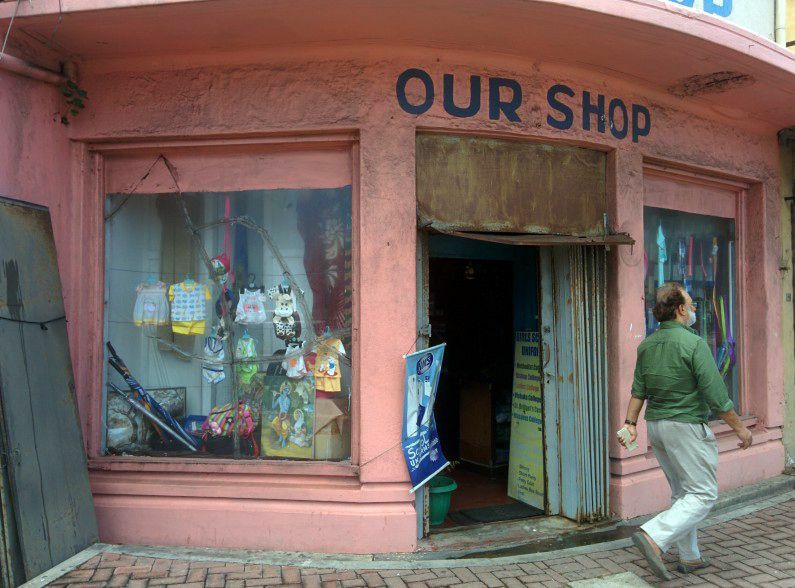 Perhaps the only survivor among these oldies is ‘Our Shop’, housed in an imposing two-storey building known as Turret Court at the turn from Turret Road to Galle Road. It has been around since the 1950s and was originally run by an Indian businessman named Babu Dashwani before passing into the hands of Nagan Vellasamy whose two daughters, Subothini and Priyadarshini, now run the place, which still deals in cloth material and school uniforms. In the same building, another oldie, Victoria Silk Stores, still survives, but does not deal in textiles anymore, having shifted its focus to perfumes. It was owned by an old Sindhi family of Indian origin, the Hundlanis, which now brings us to the many shops run by this enterprising community in Colpetty. There were no less than eight shops run by the Sindhi community in the Colpetty area lining Galle Road from the 1960s onwards. Dadlanis, established by Vishindas Dadlani, dealt in general merchandise, garments, and cosmetics like Goya products, and were also agents for Chesebrough-Ponds of USA. They closed down in the early 1970s due to import restrictions which made it difficult to sustain the business. Shobhas, started by Ram Mahtani, dealt mainly in garments and survived until about 2000, and Tolarams, founded by Lekhraj Ganwani, specialised in textiles like sarees and closed shop in the early 1990s. Still better known was Hirdaramanis run by Bhagwandas Hirdaramani, which specialised in gents- and ladies-wear including the then famous Diplomat shirts. Moolchands, founded by Gangu Moolchand, dealt in household lamps, lampshades, and light bulbs. Gangu also started a casino called Casanova at the same premises in the 1980s, which survived till President Premadasa decided to clamp down on gambling houses. Among other Sindhi shops were Tarachands and White House started by one Mirchandani—and still very much on the scene on the seaside of Colpetty junction is Khimyasagar, founded by Vishindas Mahesh. Colpetty was a veritable food paradise in the olden days, and catered not just to the rich, but people of all kinds. The Indo-Ceylon Café at the seaside of Colpetty Junction—and which is still around—has been there since the early 1970s, if not before. It was called the ‘Poor man’s place’ because food was cheap. One could have stringhoppers or a thosai or bonda for a very good price. They also sold Ambuli Mama comics from India both in Tamil and English and popular Tamil women’s magazines like Mangeyar Malar. The only other competition in the area came from Shanmuganathan Bawan on Galle Road, opposite the American Embassy which, like Indo-Ceylon Café, sold typical saivar fare. There was even a popular Chinese restaurant called Lotus Hotel, the only Chinese restaurant in Colpetty back in the late 1970s and early 1980s. Idyllically placed along Galle Road, near where Carnival Ice Cream presently stands, it was patronised by the well-to-do looking for something different from the ordinary fare they were used to. They served noodles, fried rice, and chicken and egg soup, the last of which was very popular. Their only other contender in the city was Park View near Victoria Park (present Vihara Maha Devi Park). And if one wanted to wash it all down, you could make your way to Maliban Kreme House along Galle Road opposite St. Anthony’s Mawatha (then called Kollupitiya Lane). This was an ice cream parlour that sold delicious milkshakes and ice creams that had roaring business from the 1960s to 1980s. They sold chocolate, strawberry, vanilla and even woodapple milkshakes. These shakes all came in tall glasses, which, at only 60 cents back in the sixties, was worth the price. They also sold Knickerbocker Glory in large, bowl-shaped cups, which comprised a couple of scoops of vanilla ice cream, fresh fruits, and sweet syrup poured all over, and cost a little over a rupee in the 1960s. Another favourite was the Banana Split, served in a boat-shaped dish, and consisted of an anamaalu plantain cut into two, in-between which were placed scoops of vanilla, chocolate, and strawberry ice cream. The writer is thankful to the many individuals who shared their memories in compiling this article, including Chandrani Hemachandra, Swarnamalee Jayasundara, Subothini Vellasamy, Edward Karalasingham, Hanif Yusuf, Akhtar Anver, and Mahesh Dadlani.